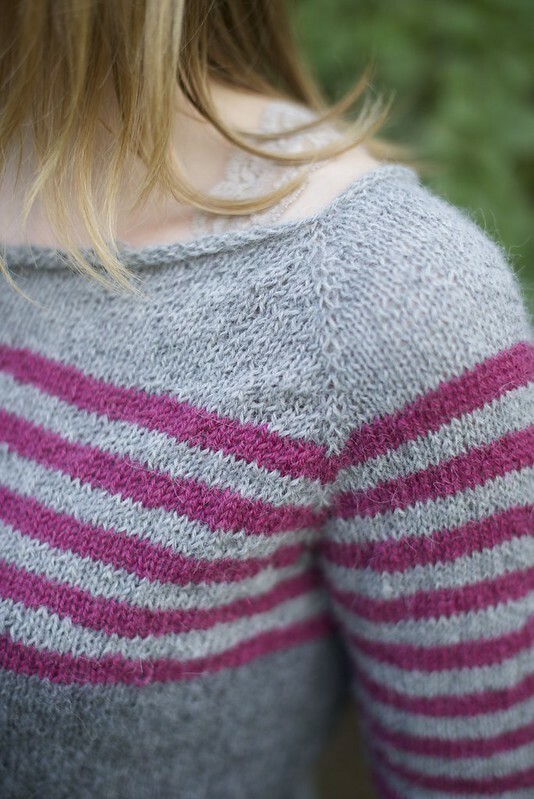 I’m so happy to share my finished ravello sweater with you today. It was a pleasure to knit and I absolutely love the result! Tight sleeves and a body with the perfect amount of ease makes this sweater perfect for brisk autumn walks and cold winter rides to school. It took me less than four weeks to finish which I consider a rather good accomplishment, especially considering it was knitted with rather thin yarn 3.5mm/US4 needles. I had planned to knit an i-cord edge around the neck but I’m quite happy with the ‘unfinished’ look of it so I’m gonna keep it like this for now. But I’m saving some of the light gray yarn so I can add the i-cord edge in the future. A big thank you to my mom for taking these pictures. It’s great to have someone close by who I can call and say ‘hey the weather is great! Do you have time to take some pictures of my latest FOs?’ and then coming back home an hour later to find dozens of amazing pictures on my camera. 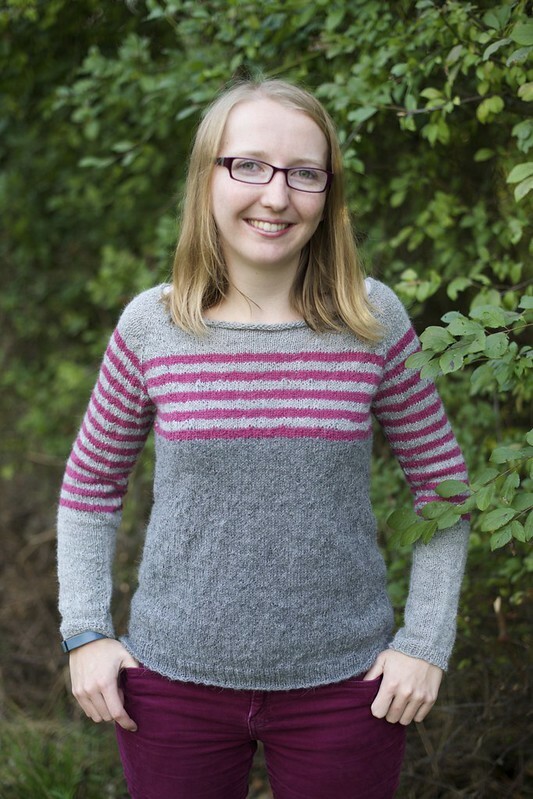 Super pretty, I love the stripes and the grey/pink combo! It's lovely – nice job! Beautiful sweater! I like the "raw" rolled edge too. Good luck with you garden and happy knitting!